Home » Uncategorized » Updates and Giveaways! The Marked Series is my book baby and now that the final book in the series is out, it’s all grown up. It’s exciting and a little bittersweet. Even though I’ve been writing stories since I was a little girl, this series was the first idea I actively pursued in getting published…and truth be told, I may have gotten overly excited and pushed the submit button a little hastily in the beginning. I had no established audience–other than friends and family–no marketing skills, and probably more typos than I’d like to admit. You live and you learn, right? And I have learned a lot since that fateful day thanks to some amazing indie authors I’ve connected with online. And now 2 years, 1 month, and 6 days later, I have a series I’m really proud of, and readers such as you who love the world I created. I may have had to update it here and there–those pesky typos and formatting issues ;)–but it all worked out in the end to become the best version it can be. To celebrate this, I’ve got a lot happening, such as an exclusive sale on smashwords.com for their Read An E-Book Week happening from March 5th through the 11th where you can get the first book Marked for FREE with coupon code SFREE and books two Fated and three Redemption for 50% off with coupon code RAE50. But that’s not all, I also have an awesome GIVEAWAY going on until March 20, 2017 where I’m giving One Lucky Winner the entire ebook series. Marked is also listed this week in the March Book Fair along with some other awesome reads in urban fantasy, paranormal romance & paranormal science fiction romance, mystery & thriller, science fiction & fantasy, paranormal & horror, romance, and young adult. Check out my books on Smashwords here, then check out all the other great reads on sale here. Check out the March Book Fair here. 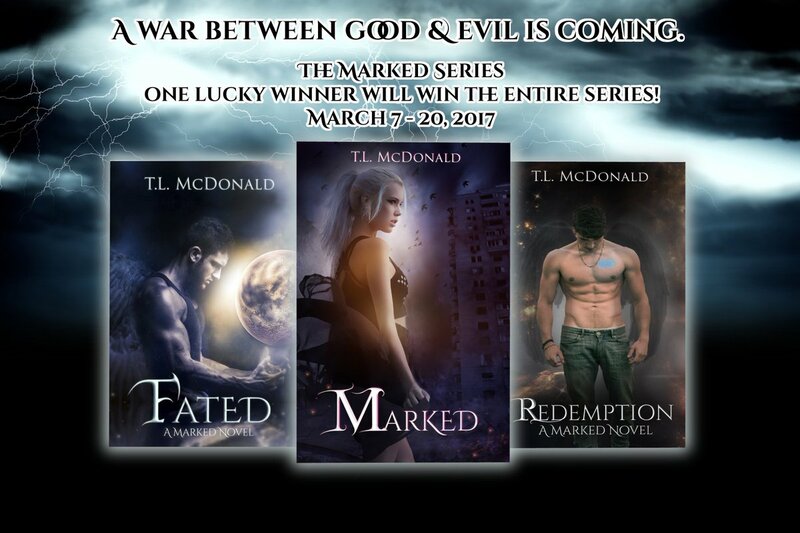 Enter the giveaway for your chance to win The Marked Series entire ebook set here. P.P.S. Follow me on social media so you’ll always be up to date on what I’m up to, sales I’ve got, giveaways I’m hosting, new releases I’m putting out, or anything else book/writing I’ve got going on. 🙂 Facebook, Twitter, Goodreads, Bookbub, Smashwords, and of course, my website. ← Redemption Has Been Released!